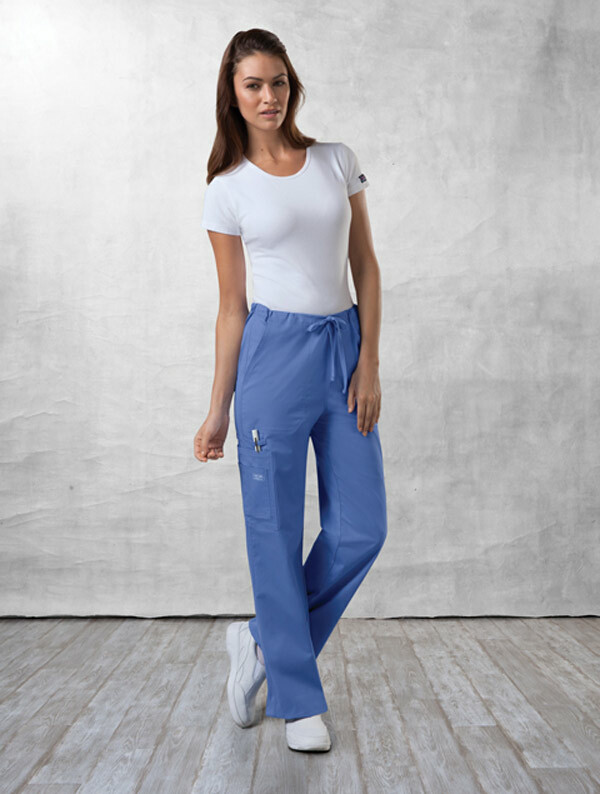 A Unisex cargo pant sports an adjustable drawstring waist. 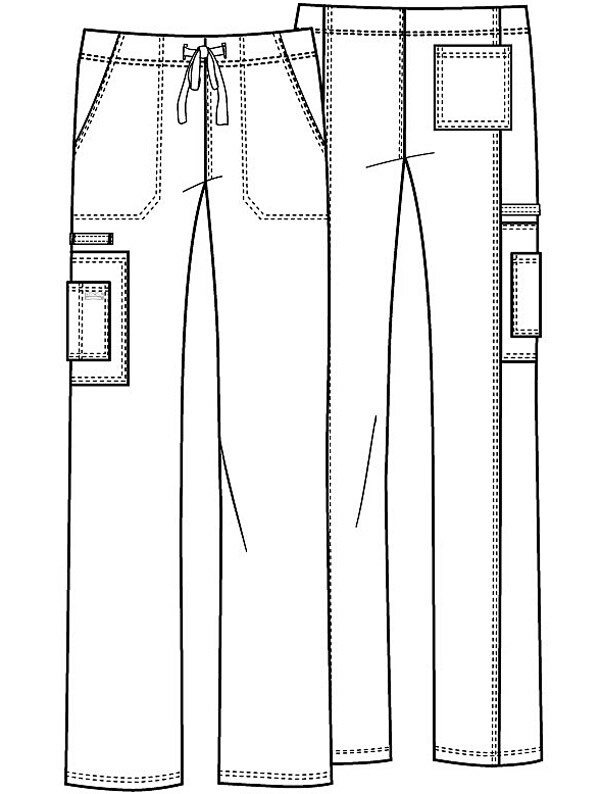 Included are five pockets: two slash front pockets, a right side cargo pockets with extra instrument/cell phone pocket, an instrument loop just above cargo pocket, and a back pocket. Also featured is a back leg seam. Inseam: 31".